Carry School in your pocket. Never miss anything for your School even when you're on the move. Interact with Teachers, work offline on drafts, monitor operations, with our iOS and Android apps for mobile. In the School name! 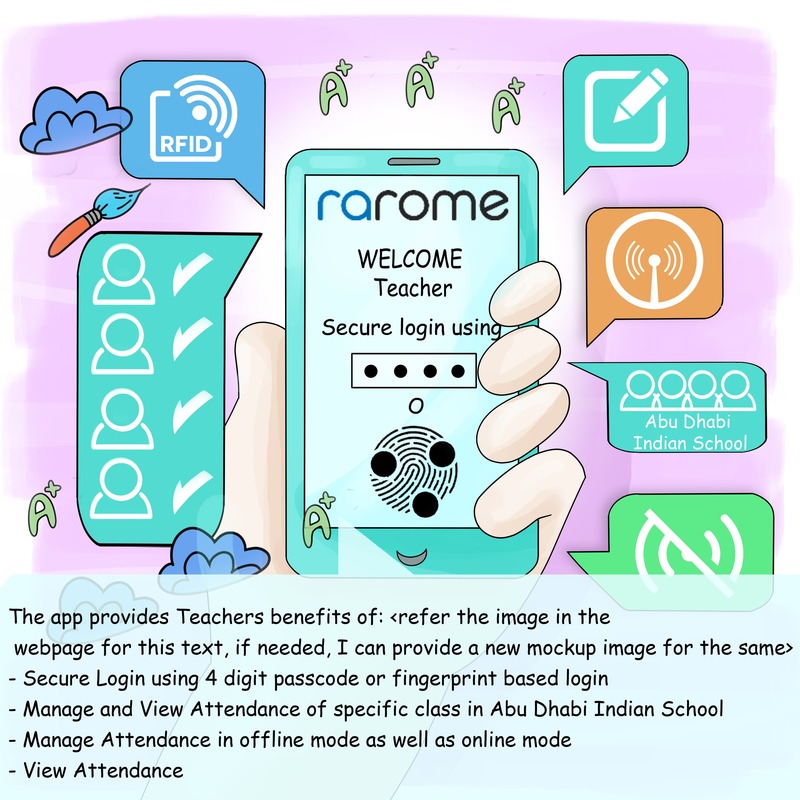 RAROME offers superior mobile apps for iOS and Android which helps the School authorities as well as Parents and Students to leverage multiple benefits of features which radome offers. Let everyone use the apps even when they are on a vacation. 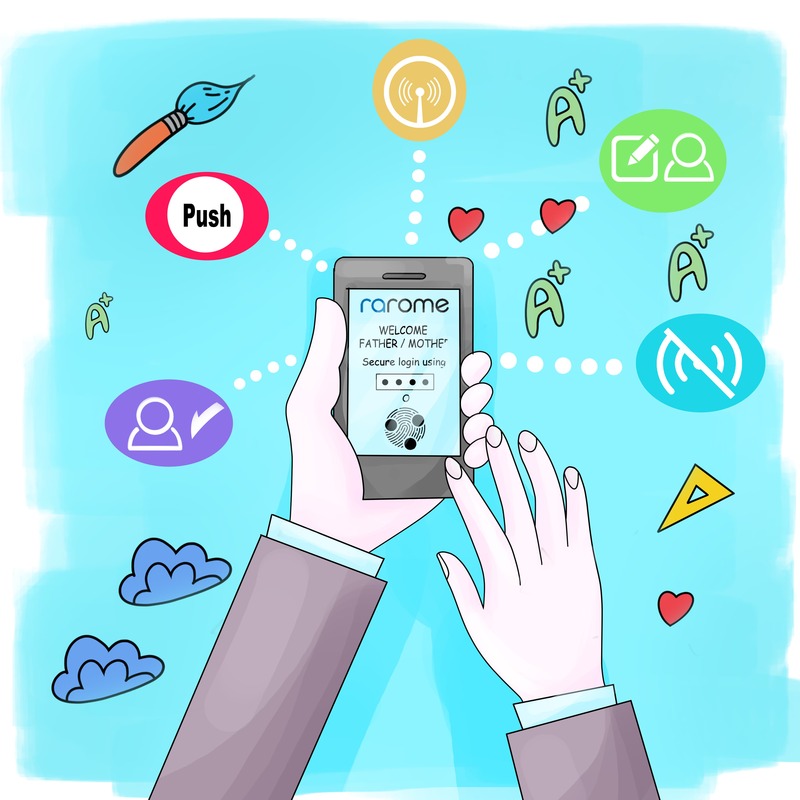 The RAROME suite offers mobile apps for School in the School’s name, logo, and address. We even let the school involved in the design phase so that the app looks unique to school’s theme. Attendance tracking by time. Know exactly when your kids passed through the school gate and when they left school. Live position tracking of child in the school bus. Know exactly where the bus is and be assured of child’s safety. No more ‘post-it’ notes for important dates. Parents get all notifications by SMS, Email and on the app so that they are up to date with the schedule of their children. Accessibility from anywhere. Cloud computing in our softwares enables parents to access any information from around the world. On a business trip? Be informed from far away. The app is 100% secure as no phone numbers are shared parents or teachers. Reduce stationary costs by creating a no-paper process thereby making the school more eco-friendly. Track attendance and performance real time in order to better manage a student’s progress. Create a seamless process of parent-teacher and parent-school communication, updating them live of how their wards are progressing both academically and otherwise. Get started with School ERP today.